Nearly 100% of all interactions with customers happens over the phone. But just because you make a phone call, it doesn’t mean you end up making a sale. Whether it’s a cold call or a warm sales call, learning how to make effective sales calls over the phone can mean big business for you. But only if you know what you’re doing. If you’re struggling to find effective ways to help your team make better sales calls, keep reading. 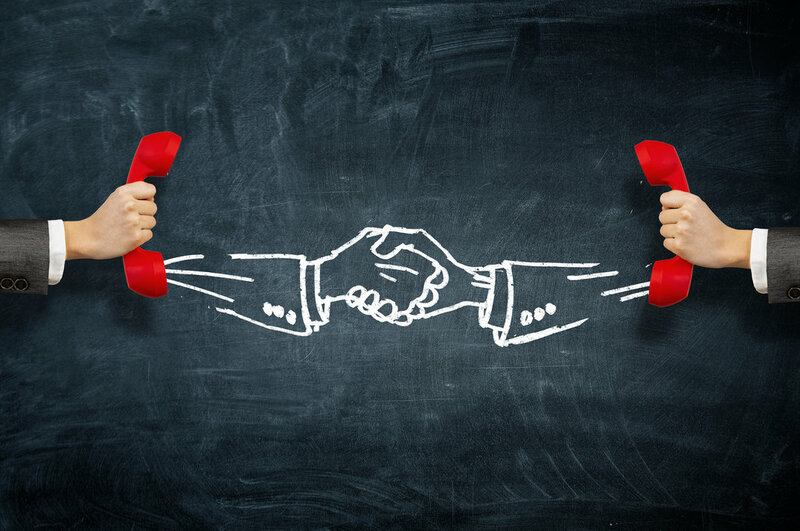 We’re sharing with you 10 of our favorite sales call tips. It’s hard to know how to start a sales call when you don’t know anything about the customer. Successful sales calls begin before your team picks up the phone. Keep a list of the most common traits your customers have in common. If there’s any personal information on the customer, have that information available to your team as well. Modern buyers are savvier than ever. The old method of brunt force sales tactics no longer works. Instead, you’ll have more success by providing valuable thought leadership. We live in the information age, which is perfect if you’re in sales. The CRM system your business uses has a wealth of data that are useful for making successful sales calls. The data will provide you with insight as to a customer’s past behavior, which is a strong indicator of how they’ll respond in the future. This information can help your sales team organize information that allows them to close deals much more easily. Also, if you calculate the number of calls, meeting, and emails necessary to close a deal, your team will know exactly when to push thing forward, when to let things lie, and when to give up entirely. One of the simplest sales tips and techniques your team needs to master is positivity. A positive mindset not only helps your sales team focus on a positive outcome, but their attitude affects your customers as well. Always train your sales team to begin sales calls and meetings with a positive comment or anecdote. You’ll be surprised at how often customers rise up to match their positive attitude. Whether someone is selling over the phone for the first time or they’ve been at it for a few years, sometimes mistakes are made. Especially if you’ve only adopted one method to use as your company’s sales pitch. Failing is actually the perfect teachable moment for everyone on your team. It’s a chance to learn what is working and what needs a few tweaks. But don’t dwell on mistakes. Rather, let the team learn from them, make appropriate adjustments and then move forward. Most people don’t listen very well. They’re too busy thinking about what they’re going to say next in the conversation. The problem with this method is that it’s terrible for relationships. Learning how to become active listeners helps your sales team get out of their heads and into the moment. Active listening helps bond two people together. And it shows respect for the person who is speaking. Before you let your sales team start making calls, make sure they clearly understand what their mission is. But more importantly, make sure your team cares about the mission as much as you do. It’s really hard to sell something when your heart isn’t in it. And if you don’t believe in your product or service, your customer will pick up on it straight away. Make your mission clear by sharing your company’s mission, values, and niche. When they understand why your company is different and valuable, they can then clearly share that with potential customers. Customers buy for all sorts of reasons. Most purchase because it makes them feel good or the product or service addresses a problem. What customers hate is feeling forced, tricked or goaded into making a purchase. Your goal is to build a long term relationship with your customers. That won’t happen unless you allow them the freedom, space, and power to make purchase decisions they’re happy with. One way to do that is to work with the customer to develop the solutions they need. Ask for their feedback and let them feel like their opinions matter. Just remember to continue directing the conversation towards making the sale. Part of maintaining a healthy relationship is staying in touch with people. That’s just as true for friendships as it is for sales relationships. One of the easiest ways to do that is through social media. Social media is also great because you also have an opportunity to connect with your customer’s influential peers as well. However, don’t depend entirely on social media to stay connected. Meeting someone face to face will never go out of style. Providing continuous training on sales tips and techniques means your team is always on top of their game. Not only will training sessions help team members improve, but it also helps them rediscover their inspiration for their work. At least twice a year, organize training and development programs for your sales team. It’s also a good idea to incorporate personal development training as well. One idea is to invite a yoga instructor to stop by to teach your team simple meditation techniques and yoga stretches. Thanks to modern technology, it’s become increasingly easy for customers to avoid annoying sales calls. You now have business intelligence tools, databases, and search engines at your fingertips to help your team make warm sales calls. The more you know about your customer before you begin the phone conversation, the more warmly they’ll receive your call. If you’ve done your homework right, you’ll have a conversation that lets your customers know you care about them and want to help them, not just make a sale to anyone who happens to answer the phone. Our cloud-based software platform makes it easier for your team to make successful sales calls each and every time. It’s accurate and provides you with reports in real time. If you’re looking for an easy, flexible solution to generate more successful sales calls, we can help. Click here to request a demo.